Unlike South America there doesn’t seem to be too many lake-filled calderas in the United States. Although we hiked along Ecuador’s Quilotoa and Laguna Cuicocha in Otavalo not too long ago, our breaths were still taken away by the majestic beauty of Oregon’s only national park, Crater Lake National Park. 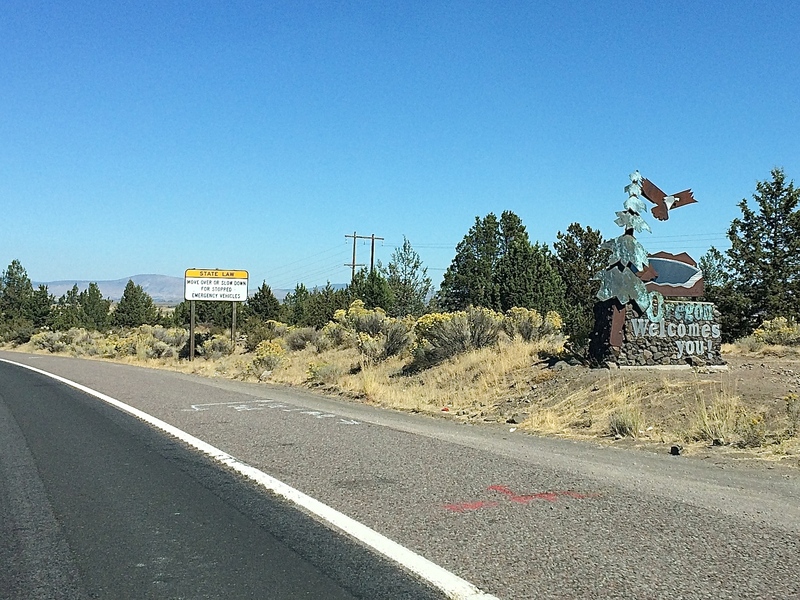 Another plus was its vicinity to the California state line, so the drive didn’t take long at all coming from Mount Shasta. 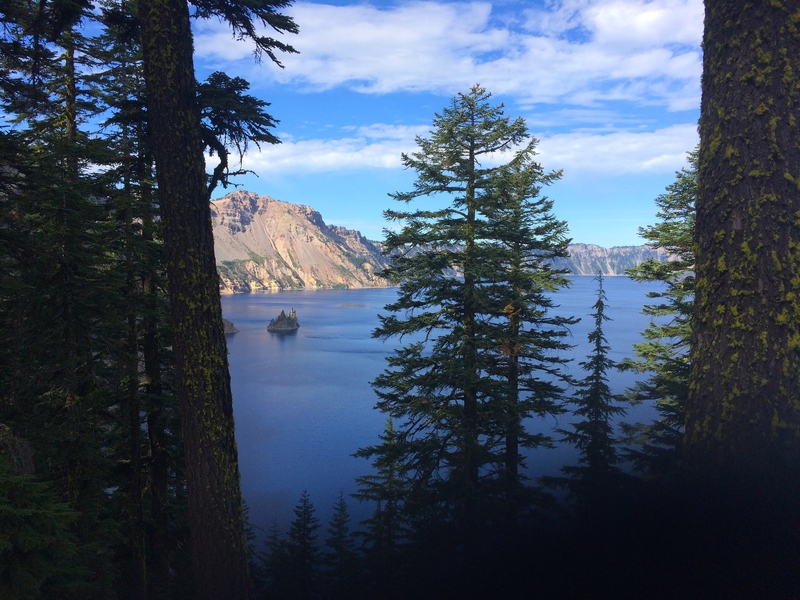 The only legal hike down to the shoreline of Crater Lake was the Cleetwood Cove Trail, a short and somewhat steep dirt path of switchbacks. This was our first hike of the day and we enjoyed the peaceful nature and views of crystal clear waters. 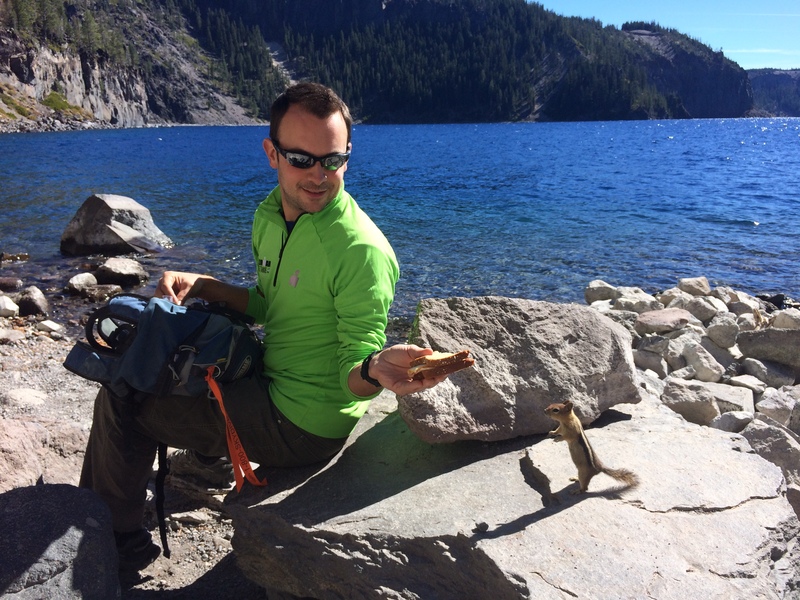 We also enjoyed taunting the bold ground squirrels with our lunches. Hehehe. After hiking Cleetwood Cove we ventured up Mount Scott, the highest peak in the park at 8,934 ft. At almost 5 miles roundtrip, the hike was short and sweet with a gradual ascent granting us astounding views of Klamath Lake to the south. 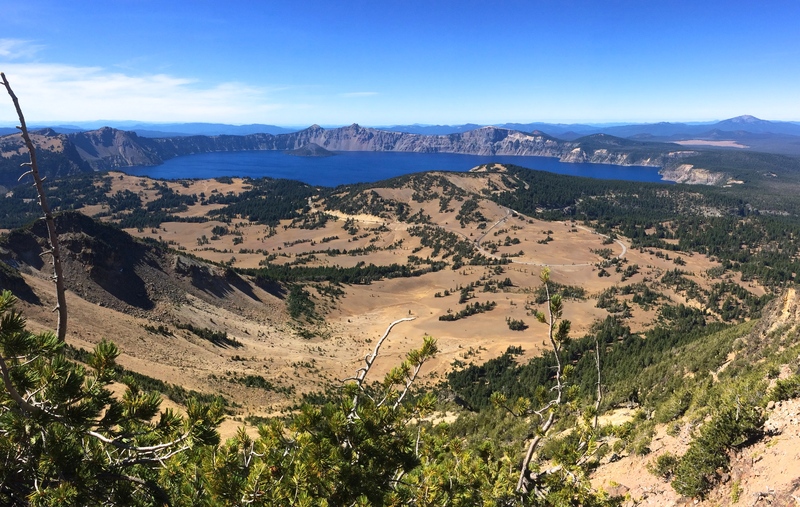 And the top boasted panoramic views of Crater Lake to the west, with aerial views of Oregon all around. Not far from the Mount Scott Trailhead was the Phantom Ship overlook, the tiny island overshadowed by the famous Wizard Island. 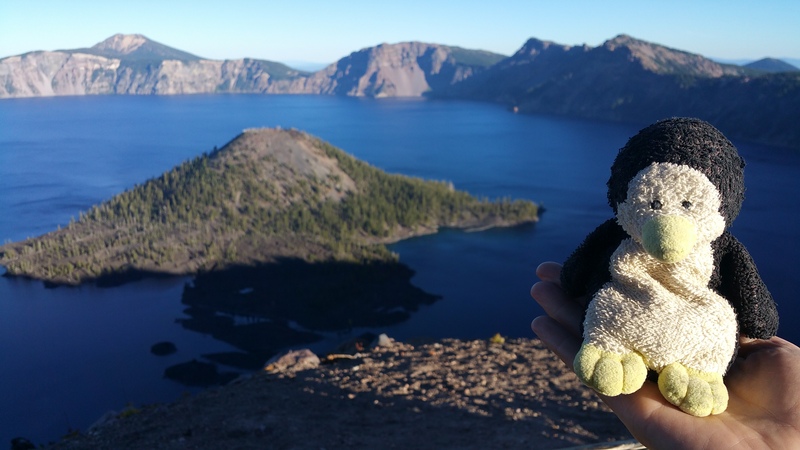 Little did we know that the little island within Crater Lake was a volcano itself! This whole time we thought it was just merely another island. Nope–it is a volcano with a hikeable trail to the crater. Seasonal boats take passengers (for $57 per person–yikes!) from Cleetwood Cove to Wizard Island for a 3-hour visit. We weren’t interested in blowing that much money on a short boat ride and hike, but the boat trips were out of season anyway. We gazed upon Wizard Island from the numerous viewpoints on Rim Road; our favorite viewpoint of Wizard Island was from Discovery Point and Watchman’s Overlook. Lighting from the late afternoon/early sunset proved to be most camera-worthy. Pen Pen agrees. 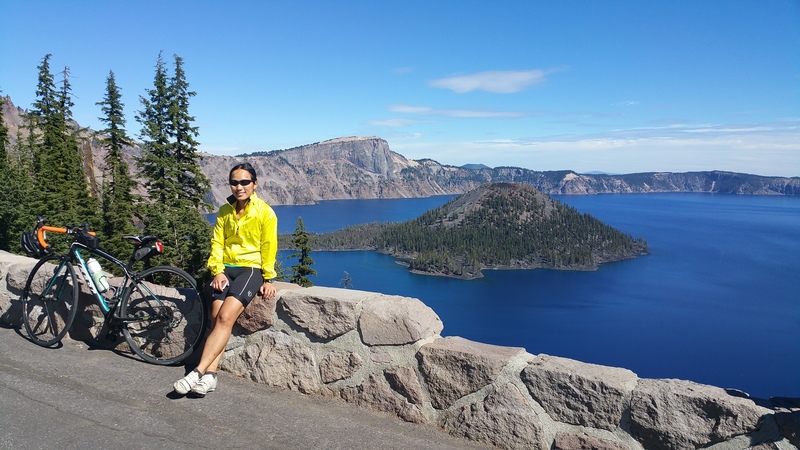 Cycling along Crater Lake’s Rim Road is considered one of America’s most beautiful rides, so I knew I couldn’t leave the park without climbing and descending its gentle hills. Due to a couple of annoying factors such as road construction with long stretches of gravel and Chris needing to work in an area with extremely limited cell and data coverage, I resorted to only cycling half the lake (17 of the 33 miles). Within the whole park there was only decent cell and data coverage at the Cloudcap Overlook, so Chris parked himself there to work and I set off on my bike toward Discovery Point. Originally I feared a grueling ride because I knew that the 4-mile descents were perpetually followed by long climbs, but the 4% average grade ended up being much easier than I anticipated and I regretted not being able to cycle the whole rim. Oh well. Next time! 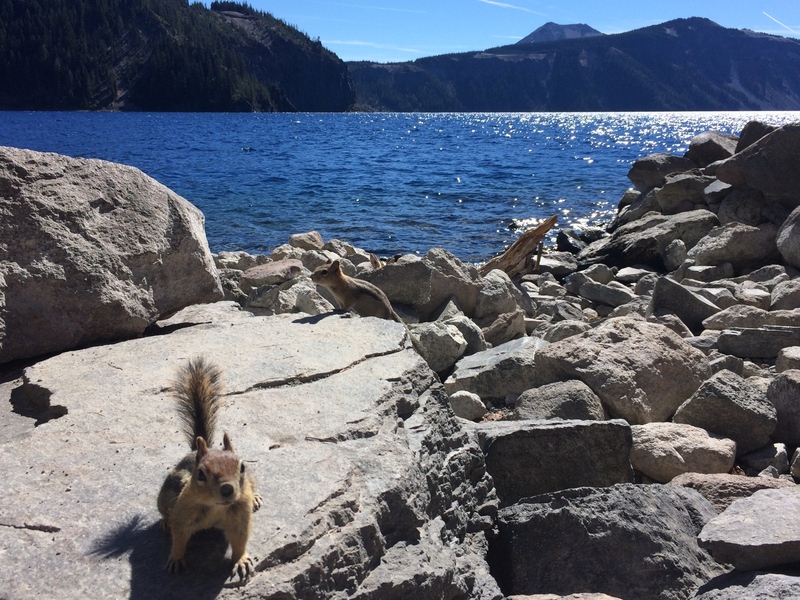 Like this blog post, Crater Lake was short and simple. A quick drive around Rim Road would probably suffice for most visitors, but I’d highly recommend a couple hikes with a few hours of time. But hands down, my favorite way to see and experience the lake was from the bike. On a clear, crisp autumn day there is nothing more rewarding than the wind in my face and leg-powered speed with the famous views bursting in and out of sight between the woods. There is a reason why cycling Rim Road is considered to be one of America’s Top 10 bike rides, and you’ll never understand why until you do it. 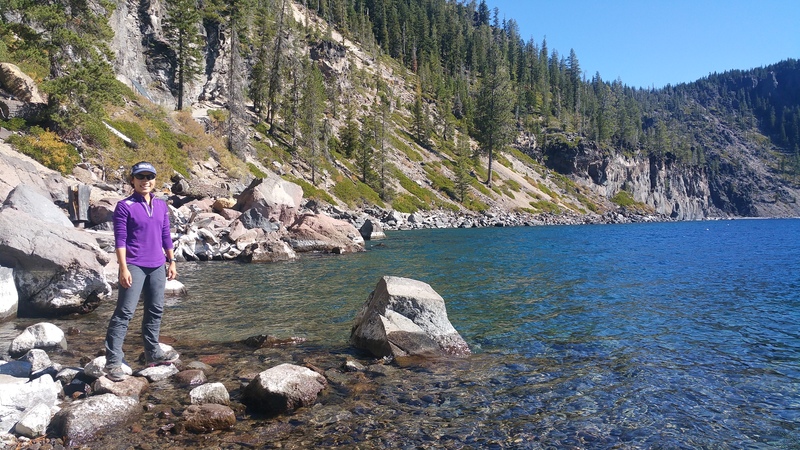 This entry was posted in Oregon and tagged cleetwood cove trail, mount scott. Bookmark the permalink.